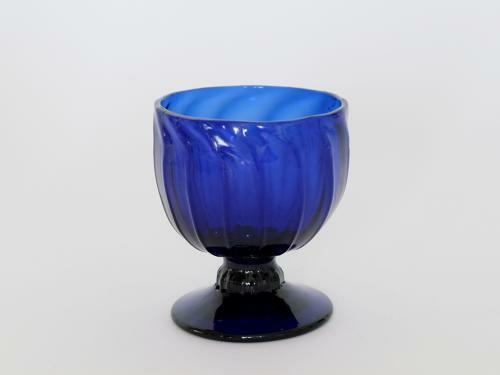 Blue bonnet glass with vertical moulded flutes English C1780. Note: Bonnet glasses are small receptacles believed to be used for dry sweetmeats. They occur in a variety of shapes and colours with green and amethyst being the rarest. These are quite often incorrectly referred to as Monteiths.